What better snack, appetizer or game night food then Mozzarella Cheese Sticks? They are so amazingly good with their crunchy outside and soft melted cheese on the inside. I could eat them all the time. 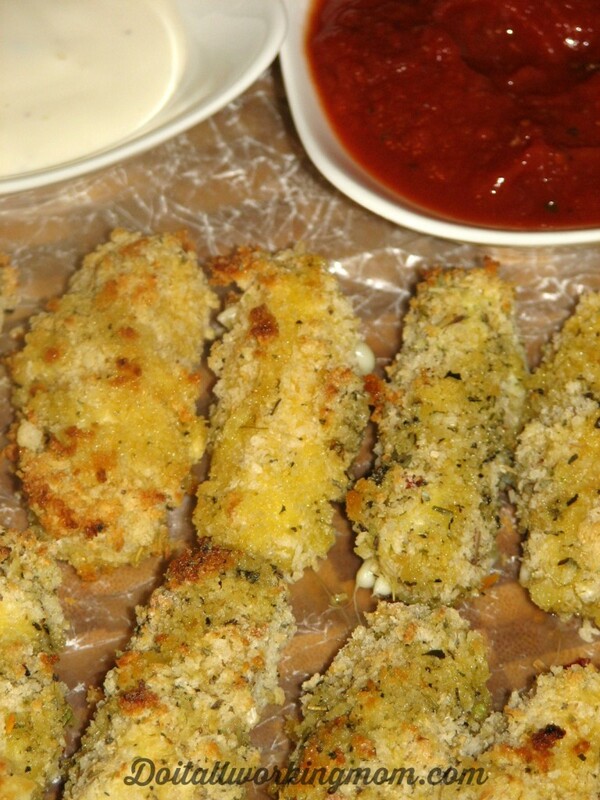 Well today, I’m sharing with you my Baked Mozzarella Cheese Sticks Recipe. The fact that these are baked instead of fried make them a lot healthier! Don’t those look delicious? They sure are a lot better then the ones you buy at the grocery store. To start, take out 3 shallow bowls. Poor you flower in bowl #1, your slightly beaten eggs and milk in bowl #2 and Panko bread crumbs, Italian seasonings, salt & pepper in bowl #3. 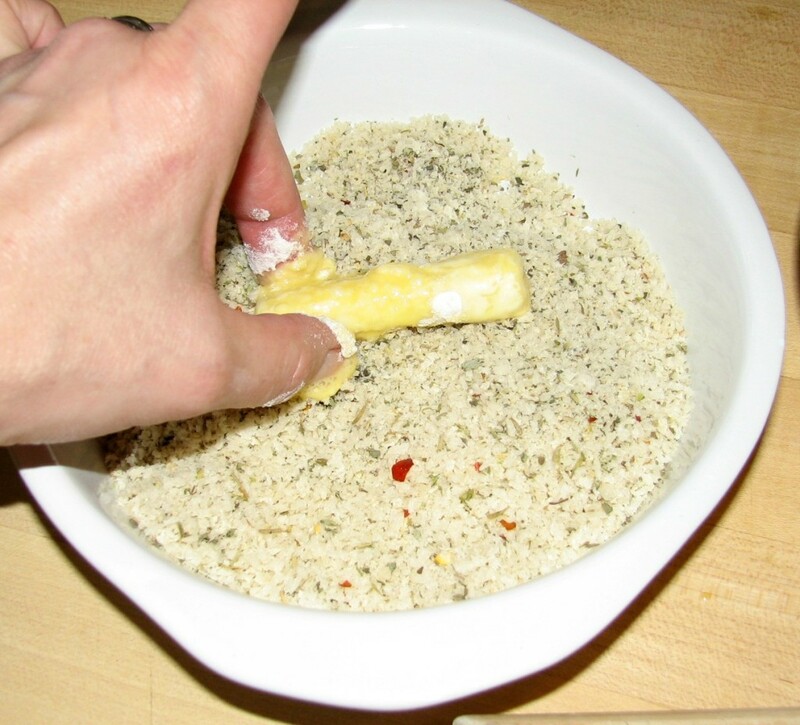 First roll your cheese sticks in the flour. Second, in the egg mixture. And third in the Panko mixture. Place cheese stick on a baking sheet lined with aluminium paper and parchment paper. 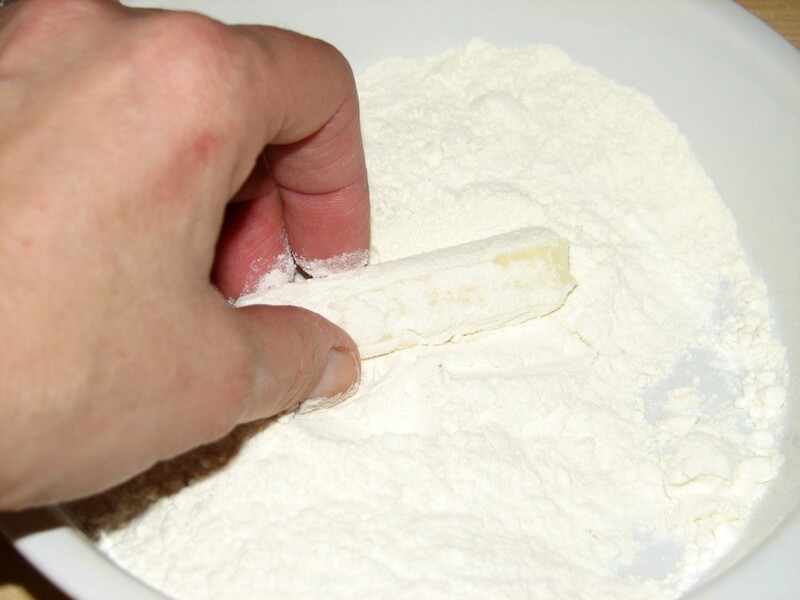 Once all your cheese stick are on the baking sheet, place the baking sheet in the freezer for 25 minutes (really important to freeze before cooking). 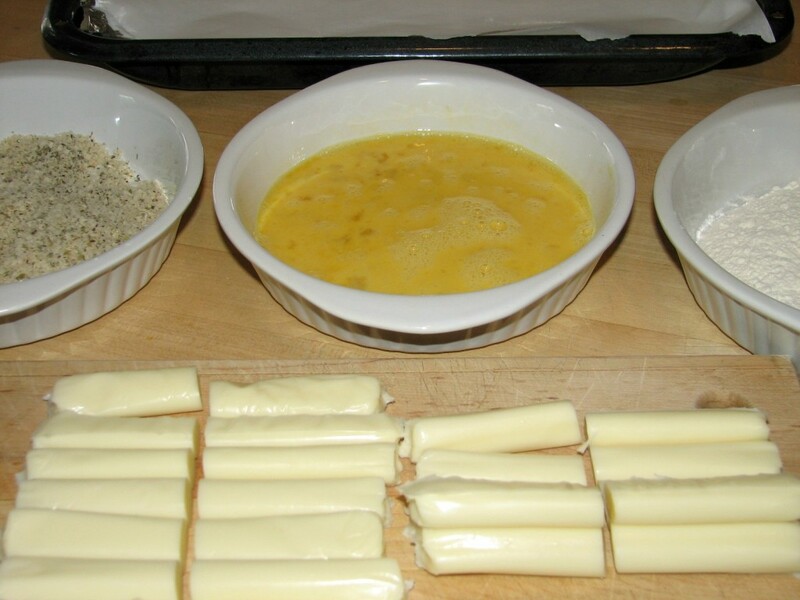 After the 25 minutes in the freezer, drizzle a little bit of olive oil over the cheese sticks and place the baking sheet in the preheated oven for 7 minutes. Serve with pizza sauce (my recipe HERE) and ranch dressing. Oh my goodness, how delicious! Yumm! I love all your food recipes. This one looks pretty easy and I think I can do it. I think my little girl will also enjoy helping me, since it’s just breading cheese instead of meat. For sure you can! 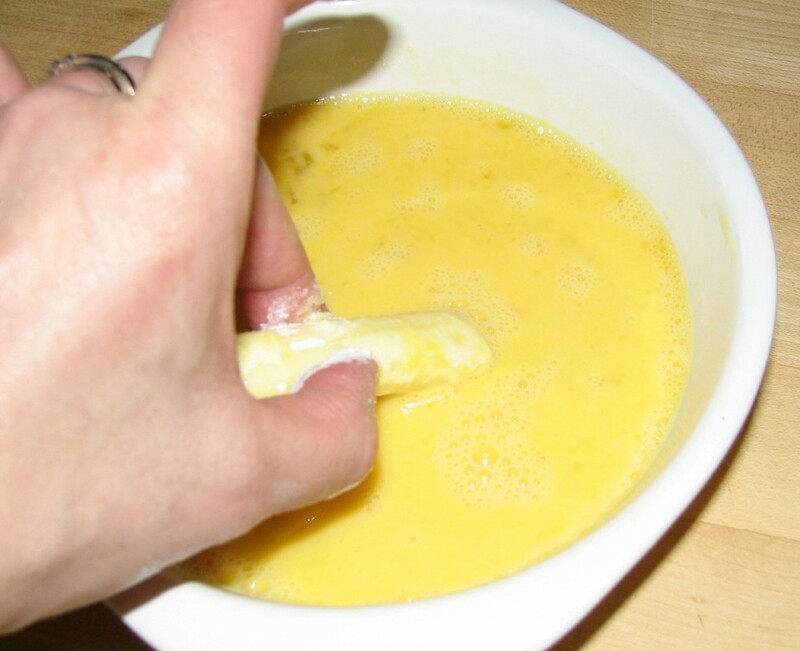 It’s a bit messy for the fingers, but really easy to make. Yum! I’ve tried making cheese sticks before, but it was a total disaster, hopefully this will help! Thanks for sharing. Yes! Mozzarella Sticks are my go-to comfort food. Really looking forward to trying these! You’ll love them, and you can eat the without feeling guilty! These look really good (even better than restaurants!) and are such a great idea! I love finding ways to make things at home that I would normally only get by going out – makes it easier to save 🙂 Thanks for the recipe!! They are really good and a lot healthier then the ones you buy at the supermarket. I found your page from the Thoughtful Spot Blog Hop. These look wonderful. My wife and I are always looking for good recipes for our three boys. Thanks for posting. I’m sure your boys will love them! Delicious! These look yummy! 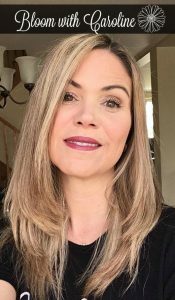 Thanks for sharing on the Frugal Family linky! I love mozzarella sticks! These will be a hit with my family. Thx for linking this post up at the Thoughtful Spot! 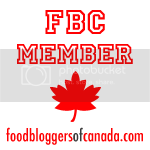 Hope you’ll stop by the blog hop today and share more great ideas. I hope they are a hit in your house, they sure were at mine :). Thanks for the chance to link-up, will be joining again for sure.